Anderson & Anderson Construction and Consulting has the experience and skill to handle your Cedar Lake insurance restorations from fire, water, or storm damages. Our contractors have decades of experience to draw from when working for you to restore your Cedar Lake home or business. As general contractors, we handle the entire project from beginning to end and work with your insurance company to ensure you get the most from the claim possible. If you’ve been through a storm or had fire or water damages, call on our experts first. Whomever you choose for your restoration, be sure they are a local company that is reputable and offers full reconstruction service that includes electrical, HVAC, plumbing, masonry, carpentry, and everything else that will be involved in the project. When you choose Anderson & Anderson Construction and Consulting, you’ll enjoy a full array of general contractor services including restorations needed for the project from minor reconstruction to all new construction. Call today for your free estimate. It’s never easy dealing with damages, especially when there is financing to consider or insurance companies to contend with. You’ve already gone through enough, so why not call on an insurance restoration specialist? With an experienced insurance restoration professional on your side, you’ll have your best interests looked after every time. 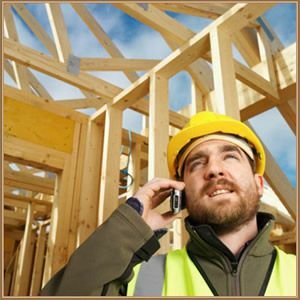 Anderson & Anderson Construction and Consulting will take care of all the permitting, reconstruction, code compliance, and more, plus we will assist you through the insurance process so you can get the most from the claim possible and a perfectly restored Cedar Lake home or commercial property. Whether you have suffered from damages to your Cedar Lake home or commercial building due to water or due to fire, our contractors are experienced and professional and ready to help you with the restoration. At Anderson & Anderson Construction and Consulting, we have provided Cedar Lake and surrounding areas with expert, full general contractor services for all types of insurance repair and restoration projects. We offer consulting as well when you need it. Damages by fire and/or water can be completely devastating. Whether you have a home or business that has been burned beyond recognition or experienced a small fire or flood, we’re the experts who can handle it with expertise. There’s nothing more exhausting and frustrating than being the victim of harsh weather that damages your home or commercial business. More often than not when Cedar lake storm damages happen, it means the property owner will suffer through a variety of touch situations including having to find a place temporarily to live or work, deal with restorations for the property, filing insurance claims, and finding financing if there’s additional work the claim doesn’t cover. If you are a victim of storm damage, our Crown Point Insurance Damage Restoration experts can help you deal with the insurance process and help you get your Cedar Lake property restored as quickly as possible. If you are looking for more about expert insurance restorations, fire or water damage restoration, or storm damage restoration in the Cedar Lake, IN area then please call 219-662-7200 or complete our online request form.